Local police are asking for the public’s help in locating a man they say fled from officers on his ATV a week ago and is wanted in connection with a domestic violence incident. PRESQUE ISLE, Maine — Local police are asking for the public’s help in locating a man they say fled from officers on his ATV a week ago and is wanted in connection with a domestic violence incident. On Friday, July 6, Officer Lucas Hafford was assisting Maine Game Warden Alan Dudley with routine ATV compliance checks when the men spotted Roger Simard of Presque Isle operating a red Honda four-wheeler on the ATV trails behind the Aroostook Centre Mall. Simard fled from the officers on his ATV when they attempted to confront him, according to a press release issued July 13 by the Presque Isle Police Department. 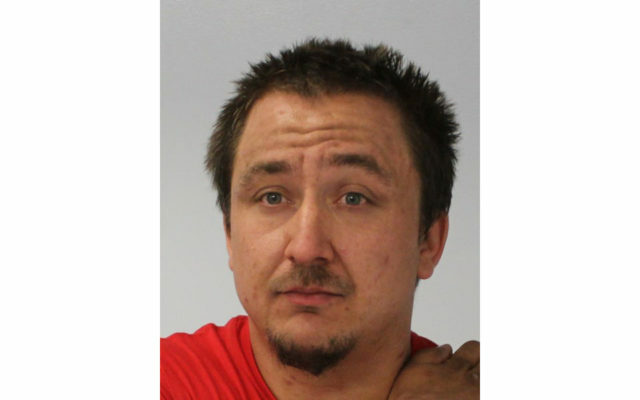 Simard is wanted in connection with a June 19 incident in which the alleged victim called police to report being assaulted by Simard. The suspect allegedly had fled the home before Presque Isle officers arrived and police have not been able to locate him since. The police release indicates that Simard faces charges of aggravated assault (domestic violence strangulation), domestic violence terrorizing, obstructing report of a crime, criminal restraint, criminal mischief and violating conditions of release. Hafford said he recognized Simard on July 6 because of past arrests related to domestic violence. The officer could not elaborate on the specifics of the most recent incident because the case is still ongoing and because of the violent nature of the crime. The Presque Isle Police Department has issued a warrant for Simard’s arrest. Hafford noted that Simard is known to frequent the local ATV trails and might be staying with acquaintances in the Easton area. Anyone who has information regarding Simard’s whereabouts is urged to contact the Presque Isle Police Department at (207) 764-4476 or to message police on Facebook.